The young dynamic company, POP Solutions is proud to sponsor sport in Belgium, in particular hockey and rugby which are vehicles for the values they have in common. For more than 10 years we have sponsored ASUB, , the Waterloo rugby club as well as the Royal White Star Woluwe Hockey Club. And that’s not all! POP Solutions has recently become the official sponsor of Tom Boon, one of Belgium’s best hockey players. Football and tennis have not been left out with sponsorship of the club FC Jefke as well as 1310 La Hulpe. In addition, POP Solutions has entered the world of Cross Fit that is more and more to the fore. This is a sport and a programme of physical conditioning and muscular exercise that is based on a series of varied functional movements drawn from a variety of sports. As well as sponsoring many Belgian sports clubs, POP Solutions is a socially responsible company. With this in mind we sponsor the Mukini Association which is involved in promoting environmental protection and socio-economic development among the rural populations of South Katanga in the Democratic Republic of the Congo. In addition to the Congo, we sponsor the Vasy Vaza Association which promotes the development of individual and collective public and private non-religious organisations in Madagascar by granting small credits. 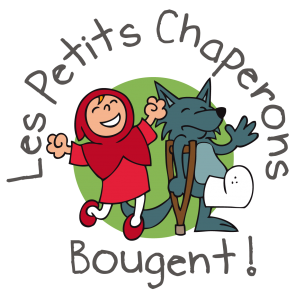 Finally, POP solutions also sponsors the association « les petits chaperons bougent », a space for emotional and physical development of children between 0 to 6 years. Since culture is also of great importance in Belgium, we sponsor the Prométhéa Association which aims to develop patronage of enterprise in the Arts and Heritage domain.